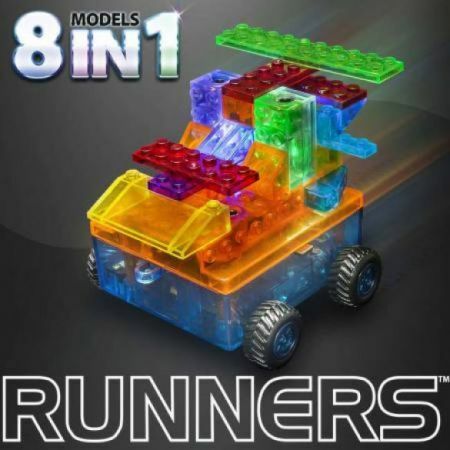 Build 8 lighted construction models of car runners. Micro tuner, Mini crane runner, Beach runner, Patrol runner, Safety truck, Speed runner, Mini truck, and Tow truck. Reguires 3 AAA batteries (not included). 4 Laser Pegs, 24 Tinted bricks, and Power base. For ages 5 - 14.